BlackBerry® (NASDAQ:BBRY)(TSX:BB) at the BlackBerry Live conference introduced the BlackBerry® Q5, a new youthful and fun BlackBerry® 10 smartphone for selected markets. 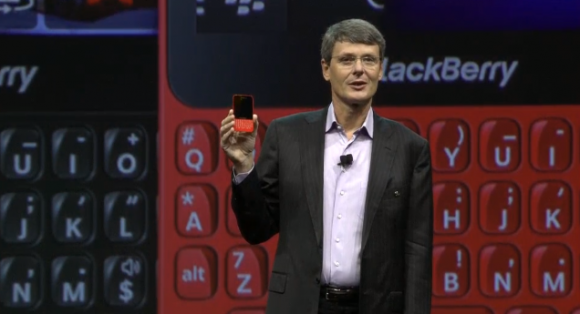 The BlackBerry Q5 smartphone features a QWERTY keyboard with discrete keys in a stunning youthful design. Create the picture perfect shot with BlackBerry® Time Shift mode, then create and share your story, weaving together your photos, videos and music into a movie with BlackBerry® Story Maker. Instantly switch your BBM™ (BlackBerry® Messenger) chat to a BBM Video conversation and catch up face-to-face. You can even share your screen, whether it’s a photo, a page in the browser, an idea, or a view from your camera. 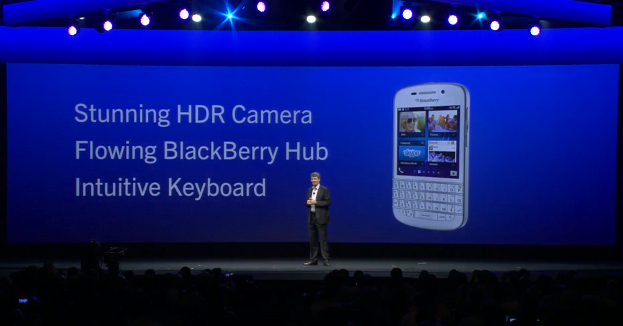 With BlackBerry® Hub, all of your messages and social conversations are only one swipe away. There’s no need to stop what you’re doing. Simply peek into the BlackBerry Hub from anywhere with a swipe to effortlessly flow in and out of your messages and conversations. Discovering and sharing great apps and content is easier than ever with recommendations based on similar purchases, and access to more than 100,000 apps on the BlackBerry® World™ storefront. Next articleNokia Lumia 925 Announced , comes in an Aluminium body with a 4.5 inch display and 8.7 MP camera.